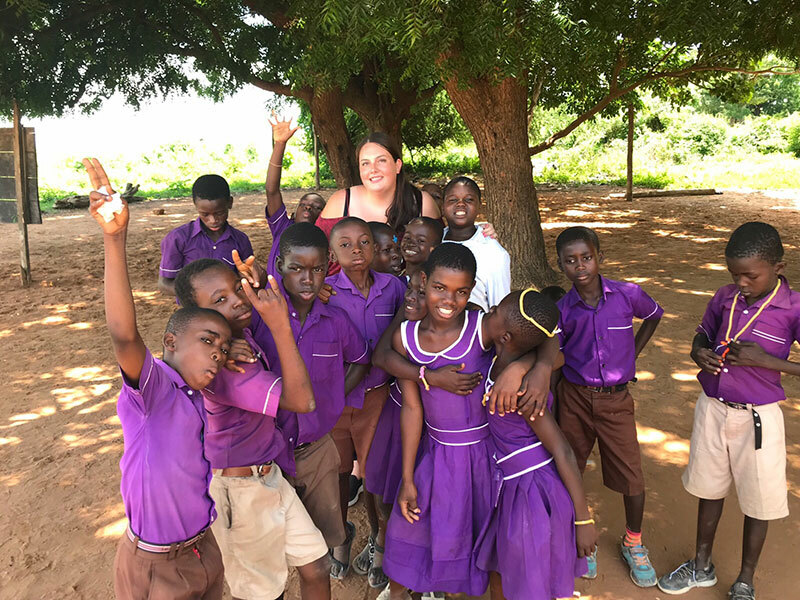 Victoria is a Customer Service Advisor at our Dartford Branch and has recently returned from Ghana where she took part in a volunteer scheme – here she tells us of her time there. Wow what an experience I’ve had; I’m going to try and put into words what I did and how I felt volunteering in Ghana with the original volunteers. I think the best way to do it is put into bullet points the main parts of the trip, otherwise it would be more of a story than an article. 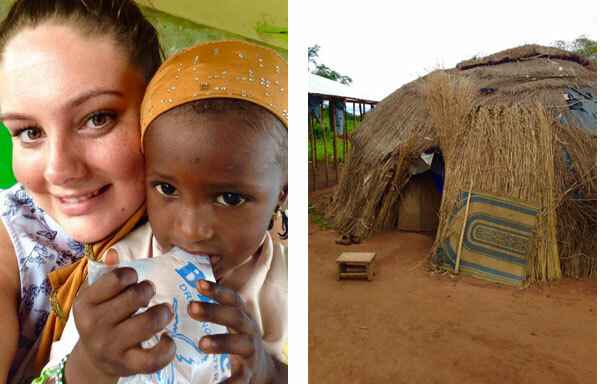 The main reason for going on this trip was to volunteer at the local school called ‘Sunrise’ – I oversaw a class containing 10-11-year-olds, myself and Rachel another volunteer arrived every morning at 9AM and left every day at 2PM. I have never seen such happy children before in my life, they are just so eager to learn, they have so little, but they seem like they have a lot. They all had their own unique personality, but they all made me laugh. One girl called Selena had been teased because her school uniform had ripped and she couldn’t wear it anymore, she was really down as her parents couldn’t afford to buy her a new school dress so one afternoon I walked with her to the local seamstress and I bought her a new school uniform – I will never forget when I saw her two days later in her brand new uniform looking a much stronger woman, she was laughing, dancing and she spoke up in class more! Its amazing to see how much of a difference that one thing I did made to her life and it only cost 40 Cedi which in pounds is about £7. The boys in the class seemed quite lazy compared to the girls, the girls were engaged, shouting out answers and the boys kind of let them; it turned out though that they knew the answers they just didn’t want to join in so we created a way to teach, which gave each student a chance to get involved by throwing a bean bag to the student we wanted to answer the question, we also gave incentives like ‘well done’ stickers – it worked!! The stickers went down a treat, all of them were involved and pretty much fighting over the beanbag. Lunch times at the school were mayhem, they borrowed my go pro and ran around the school recording everything which was amazing to watch once I was home. All age groups were out at lunch time, so all the 5-year-old children cuddled you, the boys wanted to be chased or thrown up into the air, the girls wanted photos taken with you and wanted to ask about life in the UK – It was constantly buzzing. On the last day of school that I was volunteering I put a gift pack together for each student in my class. 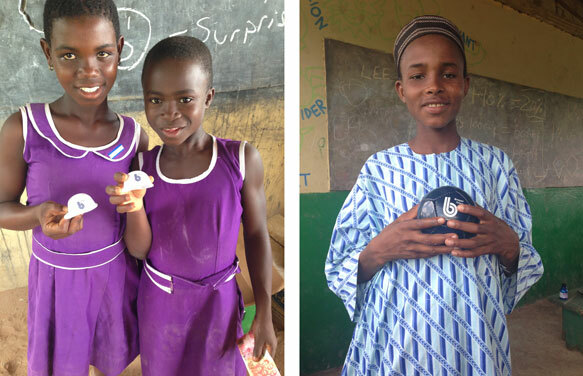 Each boy or girl had a Breyer draw string back with pencils, pens, rubbers, sharpener and ruler (kindly donated by the Breyer Group and UKOS). With a work book, colouring book, football, water and biscuit in. It was like a group of lions pouncing for them, they were all so excited and so grateful that I nearly toppled over when they huddled round me. It was worth going just for that one day. But this isn’t all we did. Our last day was arts and crafts day we had bought in paints, paper, stickers, beads, glitter, pens, pastels, glue…everything you could imagine, and it went EVERYWHERE !! The boys made paper flowers and the girls made jewellery, we painted the walls of the class room to make it brighter and it was the best day I had in Ghana! The sad part was leaving but I wrote each of my class members a letter before going and handed them out and just the other day a volunteer called Hannah messaged me from Sunrise and told me the kids still miss ‘Madam Vicky and Madam Rachel’ which made me tear up. Every Wednesday afternoons after school we go and collect boxes of soap, washing powder, pain relief, water and other items to go to a selected village which is struggling. We also had items from the UK that all the volunteers had packed to bring with us, such as sanitary items, bra’s and children’s clothing. Some of the villages we saw were so upsetting! One village, named Fulani had around 80 people and just 9 huts to live in, over 10 people in each hut - they were not very big at all. English was not very well known, they could copy but they wouldn’t be able to have a conversation with you. Each different outreach we attended meant we had to be welcomed into the village before we could give anything out, this included having a shot of village made gin which wasn’t too bad, tasted a little like Sambuca but 10 x the throat burn, before we drink it the chief of the village blesses it while the entire village watches. I walked around all these villages, gave out the items, learnt how they cook and saw how they prepared their daily food. All the people in the villages lived off the land, the children didn’t go to school unless the volunteers came in and taught them and none of them had health insurance, so we bought first aid kits and cleaned wounds, gave out bandages and checked for any severe health issues. In Fulani it was clear that many of the children have Malaria and other issues so all the volunteers and I that went out there, got together and we bought health insurance for as many villagers as possible. It’s the equivalent of £2 a year in GBP. We also searched far and wide for mosquito nets, cream and bug spray to try and ensure they were as well protected as possible, but this was difficult its not widely available in the local shop’s, so we ordered many in the UK and will be sending them over to Ghana. Three times a week we would volunteer at the local library as there was no one there to supervise, so it would not have been able to open. Never seen so many children run to a library, I think in this country we take a lot for granted. Not all children are able to go to school due to the prices so when the library opens they go in, practise their English, do maths and try and learn as much as possible. All the books in the library have been donated and now I am back in the UK we will be collected more books to send out with other volunteers via a Facebook group we created. 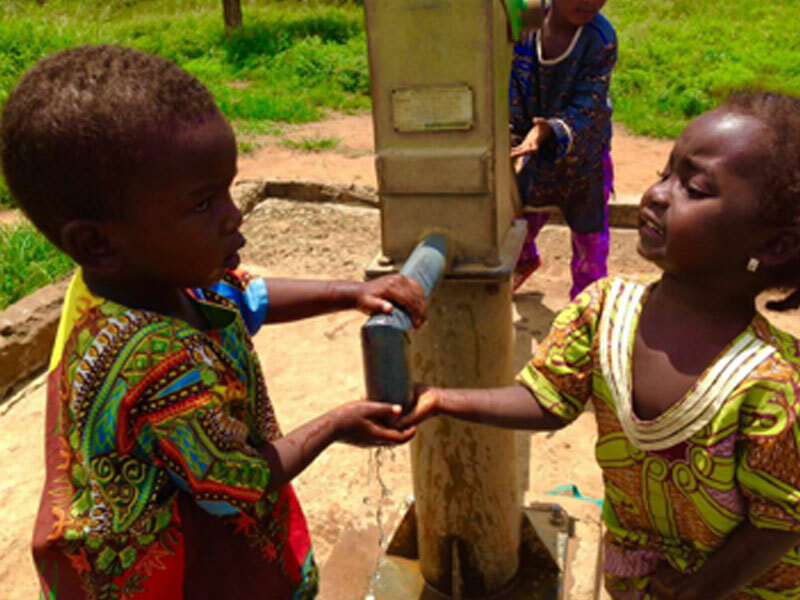 We want to be able to give these children as much help as possible.